Danfoss encourages commercial refrigeration professionals not to delay their switch to low GWP any longer – and pleadge to support them every step of the way. Uncertainty over refrigerant selection and future supply as well as misunderstandings about component suitablility, could be preventing some from gaining the skills and knowledge they need to tackle new refrigerants with confidence. Danfoss is therefore publishing a series of online resources, to help with selection, installation and retrofitting, and has committed to continue to develop qualified components compatible with promising new refrigerants as they arise. It is also introducing a growing number of multi-refrigerant units, to give maximum flexibility both now and in the future. For small and medium size commercial refrigeration applications such as cold rooms, R448A, R449A and R452A are excellent alternatives to R404A, in complement to R407 A/F. Given the short lifespan and cost of R404A, transitioning to alternative refrigerants having a lower GWP level is a logical step to take now. 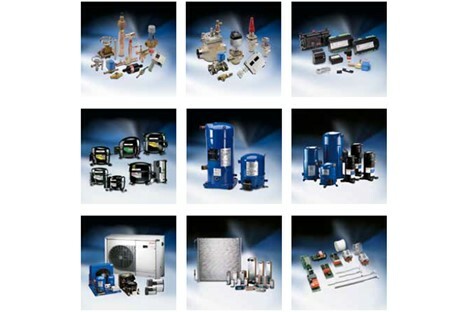 The solutions are available today for all the parts of the cooling systems with compressors, condensing units, heat exchangers, electric and thermostatic expansion valves, solenoid valves, controls, electronic controllers and other line components – for either low or medium temperature applications. Recent releases include EVR v2, TE5-55, TU valves, MLZ, VLZ and MTZ scroll and reciprocating compressors, and the Optyma™ packaged condensing units with R448A, R449A and R452A. The qualification plan encompasses R513A and R450A* as complementary refrigerant alternatives to R134a as it delivers similar performance. For self-contained applications typically used in food service, the long-term solutions are drawn to natural refrigerants. For applications with a refrigerant charge of less than 150 g, Danfoss offers a wide range of components suitable for various A3* refrigerants such as R290 and R600a. In complement to R404A, R513A is a good option when the charge limitation is over 150g, or when A3 class refrigerant* is not applicable.